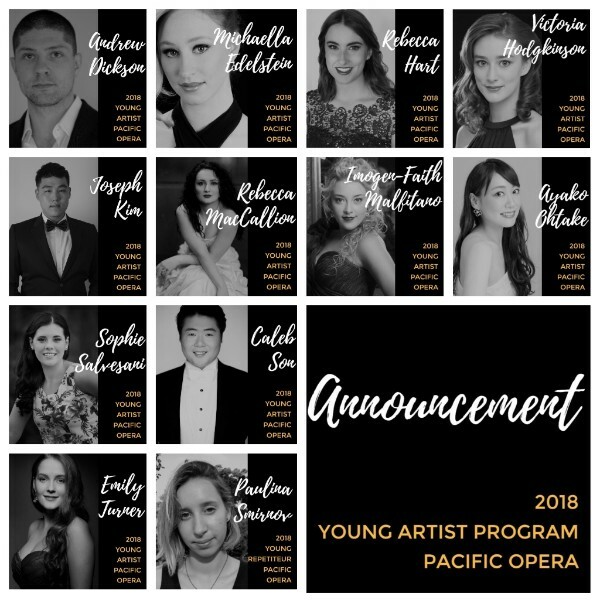 In 2018, we are pleased to announce that we have provided Sponsored Young Artist positions to 11 talented young opera singers. In addition, we have created seven Associate Artist positions for talented young singers who are not able to commit to the full program (still studying, or too many performance commitments, and so on). These singers will learn alongside our Young Artists within our program. In further exciting news for 2018, we are opening our doors to a wider range of singers with the inclusion of a larger Adjunct Program. This program is for singers who auditioned for us and didn't make it to the Young Artist Program. We'll be inviting them to observe masterclasses and workshops, and participate in scenework and ensemble opportunities, so that we can help support and develop these fine young voices. It's a very busy year coming up! Four young soloists from Pacific Opera (Pamela Andrews, Barbara Jin, Ayako Ohtake and Caleb Son) will perform with Willoughby Symphony Orchestra in their GALA Concerts at The Concourse, Chatswood, conducted by Dr Nicholas Milton, featuring well-loved Italian opera classics. Performed on February 3 and 4, 2018. Our December concert in the Utzon Room was SOLD OUT! So don't delay, book your tickets to our next recital in the Utzon Room today. An exploration of the relationship between Shakespeare’s words and their relevance today through the art song adaptations of Mendelssohn, Verdi, Gounod and others. Accompanied by Maestro Simon Kenway and featuring Pacific Opera's young artists. Performed on 11 March, 2018. 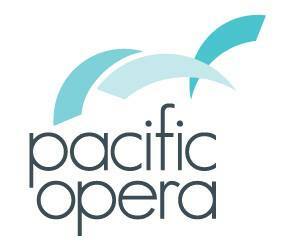 Pacific Opera has been lucky enough to be given several movie passes by Transmission Films to give away as prizes! So if you'd like to win one, email info@pacificopera.com.au with 'Movie Pass Giveaway' in the Subject Line, and include your postal address. We'll let you know if you're a lucky winner. Andrew Garfield (Hacksaw Ridge), Claire Foy (The Crown), Hugh Bonneville (Downton Abbey) and Tom Hollander (Pride & Prejudice). In cinemas nationally December 26, 2017. Adventurous and charismatic, Robin Cavendish has his whole life ahead of him when he is paralysed by polio while in Africa and given just months to live. Against all advice, Robin’s wife Diana brings him home from hospital where her devotion and witty determination inspire him to lead a long and fulfilled life. Together they refuse to be limited by expectations, dazzling others with their humour, courage and lust for life. From the director of THE ADVENTURES OF PRICILLA, QUEEN OF THE DESERT and starring an incredible cast including, Kylie Minogue, Guy Pearce, Asher Keddie, Julian McMahon, Radha Mitchell and Jeremy Sims. In cinemas nationally January 18, 2018. 1970s Australia: A 200-ton blue whale washes up on a local beach and the kids think it's the biggest thing that's ever happened in their lives. Behind closed doors, the Mums and Dads of this quiet suburban cul-de-sac celebrate in their own special way, by joining the sexual revolution. It’s a time of boxed wine, bad hair, bad styles, bad choices, but good times. And like the rotting whale, it's all about to go spectacularly wrong. Entries close 18 January 2018.